"Every day in every way..."
"Will the sun ever shine in this town as it should?" asks Maho rhetorically of his son Dino, as his family scurries indoors to escape a thunderstorm that has descended on their garden party. "It won't, Dino," he concludes. "Never." At this point it's uncertain if he is talking about the weather or the Communist utopia that he dreams his country will one day become. This is 1960s Sarajevo, a time when Yugoslavia was following is own path of so-called 'soft Communism' independent of the Soviet Union. Moscow had expelled the country from the World Communist league for not toeing the official line, indirectly leading to the formation of the Non-Aligned Movement in 1961, of which Yugoslavia was a founding member. It's a time that precious few filmmakers have recalled with anything other than hostility, and one of the most disarming aspects of Do You Remember Dolly Bell?, the debut feature of Sarajevo-born director Emir Kusturika, is that it looks back not in anger, but with a quietly affectionate nostalgia. Maho is not the central character here, but was the one I most immediately warmed to. His first appearance in the film casts him in almost comical light. Arriving home late and drunk, he immediately calls his three sons Kerim, Dino and Midho to a family meeting, something that clearly happens every night and which the boys had nipped off to bed in the hope of avoiding. Here the three confess their sins for the day and their father decides what action should be taken, while youngest son Midho keeps minutes in a book kept for the purpose. What at first plays like a parody of a socialist approach to collective decision-making actually starts to look like a good idea – the boys are encouraged to be honest, to take responsibility for their actions and discuss them, and the note-taking helps the youngest to develop his writing skills. 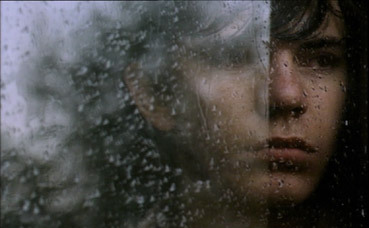 The real focus of the film, however, is middle brother Dino, who is no longer the child that Midho remains, nor the adult that Kerim is restless to become. Dino hangs out at the local youth centre with his friend Marbles, with whom he is studying hypnosis (Dino thinks it can improve the world, Marbles wants to seduce the girls with it, Maho thinks it's a waste of Dino's time) and whose tall tales of half-successful sexual adventures he takes with a fist full of salt. The centre is also visited by hard nut and small time crook Pog, freshly escaped from jail and in the process of setting himself up as a pimp. One night he wakes Dino and presents him with a young, pretty, new-to-the-game prostitute and orders him to keep her hidden for a few days, knowing Dino has a den in the family pigeon loft. The girl has adopted the name of Dolly Bell, also the name of an actress whose striptease routine Dino had been so mesmerised by during a film show at the youth centre a few days earlier. And Dino is at that age when he is just beginning to notice that women are, well, pretty damned interesting. All of which sounds (and to a degree is) familiar coming-of-age stuff, and with a young, pretty prostitute in the loft of a hormonal boy, it's not to hard to work out at least some of what will happen next, but so much here is in the handling and the detail. If you are coming to the film on a reverse timeline from Kusturica's later, more energetically paced comedies such as Underground or Black Cat, White Cat, there's a good chance the gentle pace and emotional depth of Do You Remember Dolly Bell? will catch you completely off guard. It certainly did me. Inevitably Dino develops an affection for Dolly that blossoms into a relationship, one that is doomed from the start both by her profession and her association with Pog. Running in tandem is the changing nature of Dino's relationship with his father Maho (beautifully played by Slobodan Aligrudic), who starts to recognise that his son is making the transition from boy to man and in whom he sees a future for his own political dreams – in making his will, he proudly announces that Dino will inherit his tobacco tin, his lighter, and "nine books of pure Marxism." Mid-way through film, when Maho first shows signs of a lung disorder that will soon land him in hospital, the bond between the two has been so convincingly developed that as Dino says goodbye to his father at the hospital gates and watches him walk in alone, I was surprised by the size of the lump in my throat. If the tone and pace differ markedly from later Kusturica, we're on more familiar turf with the character and incidental detail. There's also an autobiographical element that cannot help but suggest the director's own first steps with music that would later lead to his involvement with the No Smoking Band, and the interrelationship between music and film that was to become a Kusturica trademark. 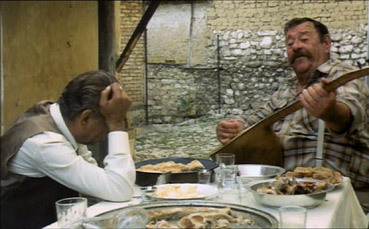 Although considerably less boisterous than in the later films, the director's engagingly oddball character humour is also in evidence: Marbles and Dino's attempts to hypnotise a bored girl and a rabbit respectively; the short taxi ride that intermittently hurtles its occupants against the windows; Maho's brother's mournful and seemingly never-ending song about Sarajevo; the entire family simultaneously mesmerised by the water leaking through the ceiling. 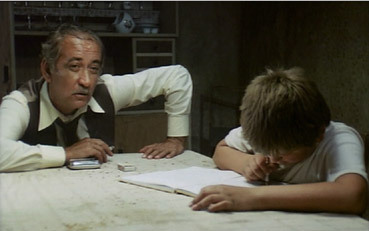 My favourite funny moment is a little more abstract and occurs after Dino has beaten the youth centre warden at chess. "Every day in every way I am getting a little better," Dino says, quoting his oft-repeated mantra, to which the warden cheerfully replies, "Return my Secrets of the Occult." Do You Remember Dolly Bell? is a disarming delight, a coming-of-age story in which even the familiar elements are thoughtfully handled and given a fresh edge by the setting and offbeat character detail. Kusturica paints a picture of a community and a time that may be different from our own (and may have a tint of rose about them), but in Dino's bittersweet journey from boy to man, he connects us to the characters through experiences are genuinely and touchingly universal. Those who only know Kusturica for his later work should definitely seek out this debut feature – apart from its considerable stand-alone merits, it also shows a very different side to one of modern cinema's most consistently impressive and imaginative filmmakers. Whether this transfer has been licensed from elsewhere is uncertain – the picture quality is very watchable but varies a little in quality and never really approaches pristine. How much is down to the source print is uncertain, but decent black levels in darker scenes appear to have achieved at the expense of shadow detail – pop up the brightness and you'll be watching compression artefacts. Daytime exteriors are much better. The slight picture softness is likely a print issue, and these days its hard to know if the toned down colour palette was a deliberate artistic decision of the result of fading. There are also dust spots here and there, but they are never distracting. The framing is 1.66:1 and the picture is anamorphcally enhanced. The Dolby 2.0 mono soundtrack shows its age and budget, with some slightly hissy trebles and an unspectacular dynamic range, Otherwise there are no real problems here. The key extra here is an Interview with Emir Kusturica (32:18), a compelling chat in which the director talks about how important it is that your first film comes from a world that you know, the disconnection of modern cinema from socio-political issues, how Hollywood has lost its way, and the consumerist nature of modern filmmaking. There's a nice moment when, as some idiot's mobile goes off and after trying to talk through the annoying ring tone, the director flashes a look that nicely suggests just how much contempt he holds his owner in. The Emir Kusturica Filmography is no more or less than that suggests, and there are Trailers for Black Cat, White Cat (1:36), Underground (1:05) and Life is a Miracle (1:41). A rather lovely first feature from Kusturica gets an OK but not great transfer and only one extra of note, though it is a goodie. The film itself is a must-see for Kusturica fans, but also for anyone who appreciates a well told, involving and very nicely detailed coming-of-age story. For the film itself, recommended.